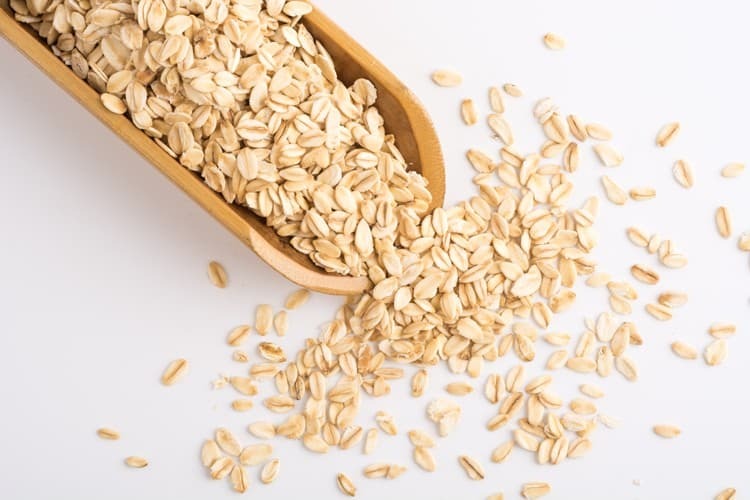 ​People often wonder if oatmeal contains lectins, so on this page we've compiled a bunch of ridiculously helpful information for you on oats and oatmeal on that topic. ​Are Oats High In Lectins? ​Should You Avoid Eating Oatmeal? ​Should You Avoid Eating Other Lectin Foods? ​Oats are considered grains, one of the main categories of lectin foods. They do contain lectins and other antinutrients, although not as ​many as other foods high in lectins. Therefore, someone who is very sensitive to lectin foods may want to avoid this food. ​Want to know how I finally started reducing lectin sensitivity? Without this, I may have never eaten pizza again! If the answer is a resounding yes, then join our insider's list by clicking the button below. There are a number of ways you can reduce the amount of antinutrients such as lectin in oatmeal. ​The lectins in oats ​can be reduced by soaking and sprouting. Since lectins are water-soluble antinutrients, soaking ​oats for an extended period of time before cooking them into oatmeal can reduce the amount and make them easier to eat and digest. While some people soak grains and pseudograins for only 30 minutes before cooking, there can be additional benefits to soaking for many hours. At some point of course, the benefits will begin to drop off, but even soaking for over 6 hours can ​continue to reduce the amount of antinutrients. Sprouting is another way that antinutrients can be reduced, which is the process where a seed starts to sprout upon being exposed to conditions​ where it can grow. Otherwise, it lies dormant waiting for the right conditions, such as rain. When ​a food starts to sprout, nutrients are more available and antinutrients are reduced. As a result of these reductions in antinutrients, foods such as oats for oatmeal can become easier to eat, especially on a lectin-free diet! Since lectins are a natural pest repellent, foods may be genetically modified to contain more lectins so as to further divert pests from eating them. As such, buying organic can particularly helpful when eating foods that contain lectin. Furthermore, pesticides used on organic foods tend to be more natural and are generally considered significantly safer. ​Oatmeal does have​ numerous benefits, including containing a good amount of fiber. Oats ​have a large amount of what is known as beta-glucan fiber, which has numerous benefits, including the potential for ​oatmeal to help increase good bacteria in the gut. It's also been shown that this fiber in oats may help increase satiety so that you feel full after you eat. This food is a good source of copper, phosphorus, manganese, magnesium, folate, zinc, vitamin B1 and B5 as well as important minerals like potassium and calcium. ​It is of course true that there are many nutritional benefits to many different foods​. ​Oats are a whole grain and therefore ​​tend to be avoided on a low lectin diet. It seems that oats have less lectins than other foods, but still ​may want to be avoided, especially given that it contains more antinutrients than other low lectin foods. You can of course try the ways to reduce antinutrients mentioned above, in order to make this food easier to include in your diet. You can also increase variety of including it. Furthermore, you can see if this food affects you greatly, and then decide whether or not to include it in your diet. Like I ​mentioned above, ​it was a game-changer for me when I started having more food flexibility by reducing my sensitivity to lectins. That includes oats! If you want to know more about that, then join our powerful insider's list by clicking the button below. There are many different foods high in lectins. If you feel significantly worse as a result of eating lectin foods, it can be highly beneficial to undertake a lectin-free diet. You can experience greater clarity, more energy, less inflammation, feel better, and more. Oats are a whole grain, and so you may want to also avoid other foods that are grains, or at least, cut down on intake of them as a whole. That being said, if you would like to see if eating lectins makes you feel significantly better, it's much better to start cutting out a lot of foods, then take it from there. This way, you get a clearer picture of how it benefits you, since eating multiple lectin foods while avoiding one food may not make a huge difference. Sometimes, you may have a feeling that there are specific foods that are causing you problems, but are not totally sure about it. This is where having a clear-cut lectin-free diet plan can really help. Not only that, having key information about the approach mentally can be really helpful as well. Having information about which lectin foods are likely to be problems and which foods are typically great choices in the diet can be very helpful as well. If you'd like help with lectin foods, whether you're a complete beginner or already benefiting from the diet, be sure to sign up to get our ultimate guide and more by clicking the button below.